If you have ever been stung by a bee, a scorpion or a centipede, the pain is something that you can never forget. It burns, stings and hurts all at the same time. But that’s nothing compared to what their reptilian counterparts AKA snakes could do. Snake venom could have you dead within minutes. Nature has empowered these creepy crawlies with toxic fluids that can be used for offence and defence. Each animal has a distinct cocktail of venomous fluids that are tailor made by nature to target their specific prey or predator, rendering them powerless. As deadly as these venoms are, they are not entirely bad and if used in the right way, it could offer some amazing medical benefits. 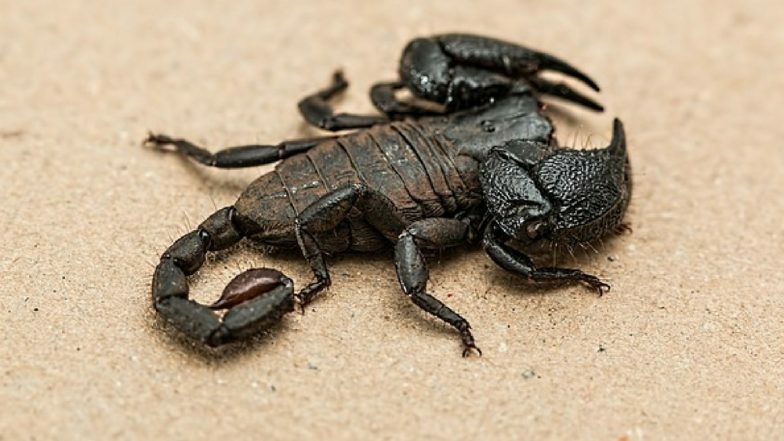 Recently, researchers at have found that iberiotoxin, a special component in scorpion venom can help treat rheumatoid arthritis. While this may come as a surprise to many readers, the truth is that medical science has been harvesting animal venom for a variety of medical uses for quite some time now. Here are some of the ways in which animal venom can help save lives. Venom from bees or api toxin has been widely used in the treatment of some immune-related diseases. Certain kinds of peptides in bee venom, namely melittin and phospholipase A2, have been known to target cancers of kidney, lung, prostate, bladder and breast. Rattlesnake venom called crotoxin can also help kill aggressive tumour cells. Here’s a good reason to be nice to spiders. The components in spider venom can help those with chronic pain says study. Chronic pain last for more than three months and can be life-altering. It is usually caused due to nerve damage. Scientists have discovered that the peptide content in tarantula venom helps in relieving pain by inhibiting the pain signals. Stroke occurs when there is an interruption in the blood flow to the brain, damaging the organ in the process. The good news is that a protein found in spider venom could help in minimising the injury after a stroke. Scientists have discovered that a single dose of protein Hi1a found in spider venom could be potentially used to help stoke patients recover. ACE or angiotensin-converting enzyme causes hypertension or high BP in human beings. In the 1970s, a bunch of scientists discovered that pitviper venom contains a protein that could disrupt the workings of ACE. This led to the development of a nontoxic version of ACE blockers made from snake venom. Who could have known that the venom from one of the most poisonous snakes in the world could possibly treat Parkinson’s? The venom from cobra is a neurotoxin, which means it is destructive to the central nervous system. But according to new research, it can also potentially help in neural disorders like Alzheimer’s and Parkinson’s disease.